Loans can be a double-edged sword, but they are still the most reasonable options for the majority of people when it comes to big purchases. No matter if it is a car buy or a more serious financial venture, like buying a home, you should always observe the situation in the market and wait for the moment to choose the most suitable loan. Still, it is important to know what loan to go for and how to organize your finances. The fact that you are making an obligation to pay a certain amount of money every month for several decades can have a huge effect on your life. Therefore, every loan candidate needs to weigh all the pros and cons before they make their final decision. The most important matter here is whether you want to take a long-term loan or stick with a short-term option. The former choice represents a less stressful option on a monthly basis, but its duration might turn out to be more stressful in the end. On the other hand, higher installments will pay off the loan earlier, but these amounts might harm other aspects of your life. In addition, you should also consider the interest rates in both cases. If you are already paying off your debt and you think that your bank is not giving you the best deal they could, maybe it is time to start thinking about other options. Since banks do not like quitters, you should first make sure that you have exploited all the potential resources with your current bank. Only when they do not agree to offer you any grace periods or loan benefits should you go to another bank. If that new bank agrees to alleviate your loan payment, you can use their loan to close the one you are not satisfied with and keep paying the new loan. 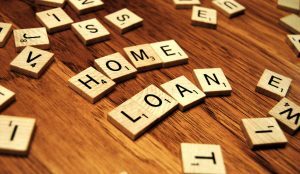 Of course, the number of times you can refinance your mortgage and loan is limited; learn more about it here. What also affects your (dis)satisfaction with a loan is how much it has contributed to your life quality. For instance, if you take a mortgage to buy a small property for a large family, your subjective feeling of discontentment will be even stronger. 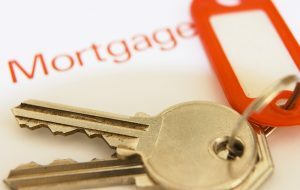 Therefore, you should always talk to a property agent before you even start considering the potential mortgages. Finding a well-organized and spacious home that will provide enough comfort for you and your family will make the loan payment much easier. Most people take a mortgage and a car loan at the same time. Although they are convinced that they will be able to pay them off seamlessly, it is more than often completely opposite. This is why you should try to test your income in relation to the potential loans you are planning to take. Keep putting aside the amount you would be giving for the loans for a period of six months. If you still have enough money for all the other expenses, you are ready for the loan. Moreover, those who are already paying loans should try to reorganize their finances, too. Forbes brings and interesting story of a man who managed to pay off a large loan in only three years. Let’s face it – we all need loans. However, they do not have to be at rip-off rates. So, take your time, analyze all the options and take a loan only when you are sure that you can pay them off without affecting the quality of your life.